TOSCA collection – perfect at home in traditional and contemporary settings - is as versatile as it is durable. 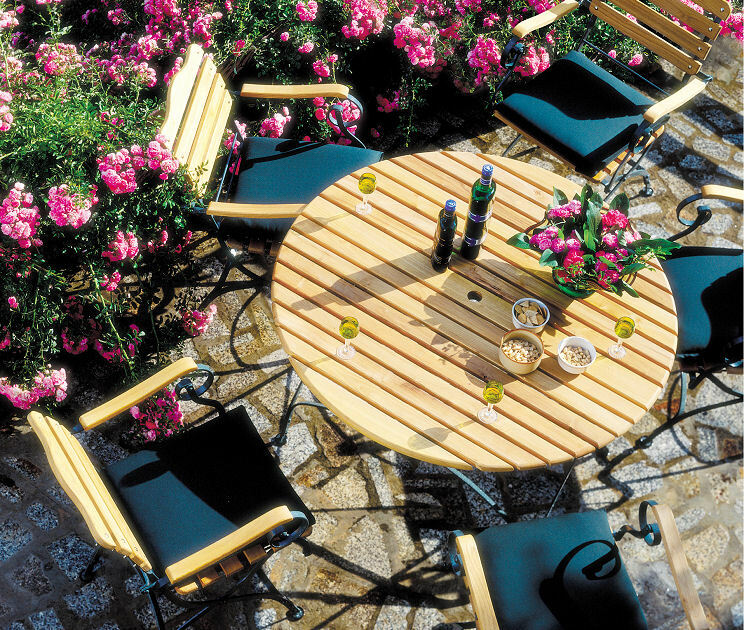 Each piece is constructed of durable robinia and stable powder coated metal frame. TOSCA dining set includes a selection of various tables. At the end of the day or during inclement weather all pieces can be folded for convenient storage.